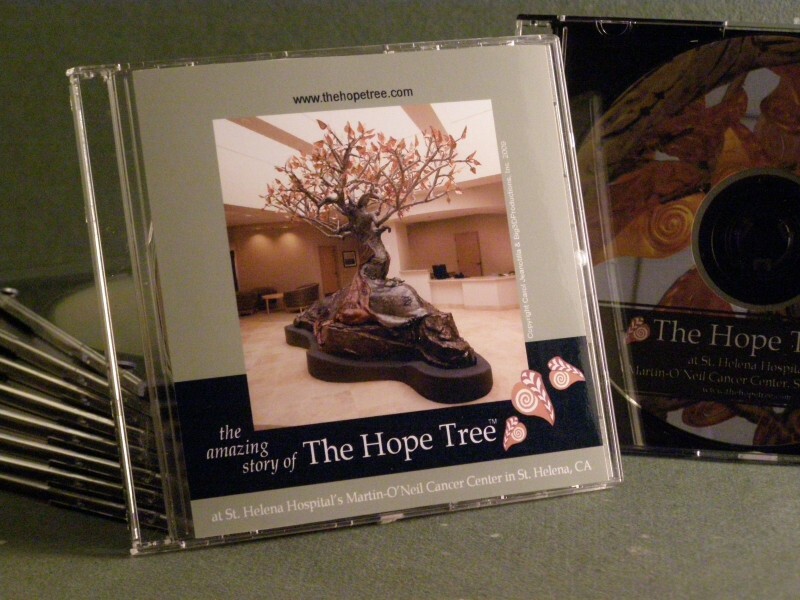 This evocative documentary filmed in stunning High Definition chronicles the journey of The Hope Tree from the initial spark of an idea, early concepts, engineering, fabrication and sculpting to installation. Artist, Carol Jeanotilla, discusses the symbolic meaning behind every aspect of the sculpture - from the very structure to the symbols, “Loralie” and the copper leaves reaching for the stars. Hear from cancer survivor, Emily Miner, as she discusses how she got through her own cancer journey. This 26 minute documentary short shows arresting “jib shot” views of the sculpture that are just not possible to see otherwise. It is as close as you can get to actually being there, gliding your own hand over the sculptures glistening surface. 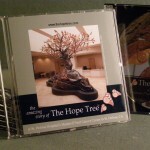 It is a poignant representation of the meaning of hope that you can watch on your TV-DVD player or computer any time you or a friend are in need of a reminder that hope is indeed alive and well. All proceeds from the sale of this DVD go to the Martin O’Neil Cancer Center through the St. Helena Hospital Foundation. Sign up to our newsletter and we will send you Hope Tree updates, stories and news. This web site is not a medical or psychological consultation service. Any information or opinion expressed is provided only to supplement information provided by your doctors and nurses. It is not intended as a substitute for competent medical or psychological care. Any use of the information in this web site is at the user's discretion. Carol Jeanotilla and Big3D Productions, Inc. disclaim any and all liability arising directly or indirectly from the use or application of any information contained in this web site, blog or newsletter. Copyright © Carol Jeanotilla 2009-2019. All rights reserved.